There's a new spot to score tacos and breakfast in the neighborhood with the opening of Heffe, located at 1543 Spring Garden St. The Spring Garden location follows the success of the original Heffe taco stand in Fishtown. The new space is considerably larger and features an expanded menu, indoor seating and a bigger kitchen, reports Philadelphia Magazine. Heffe owner Anthony Lolio has made other changes with the new spot, namely, the addition of a breakfast menu and its own brand of coffee. "There wasn't anything open early in the morning," he told Billy Penn. "So we decided to do breakfast." For early morning diners, options include avocado toast with whipped goat cheese and several breakfast sandwiches, such as the "Egg Snob" with applewood bacon, fried egg, chimichurri and arugula on a brioche bun. The lunch and dinner menu feature the "Polo Yo" taco made with crispy chicken thighs, ancho mayo and queso fresco; the "Fat Man" burrito with crispy chicken, black beans, bacon and pickled jalapeno; and the "Questo Fondito," a vegetarian quesadilla with sweet pea guacamole, mushrooms, truffle oil and crema. With a 3.5-star rating out of nine reviews on Yelp so far, the new arrival has made a promising start. Tiffany B., who was among the first Yelpers to review the new spot on March 28th, said, "The inside is brand new, but limited seating! I ordered the carne asada bowl, and it was absolutely delicious. ... Also the prices are very fair and the service is friendly and efficient." 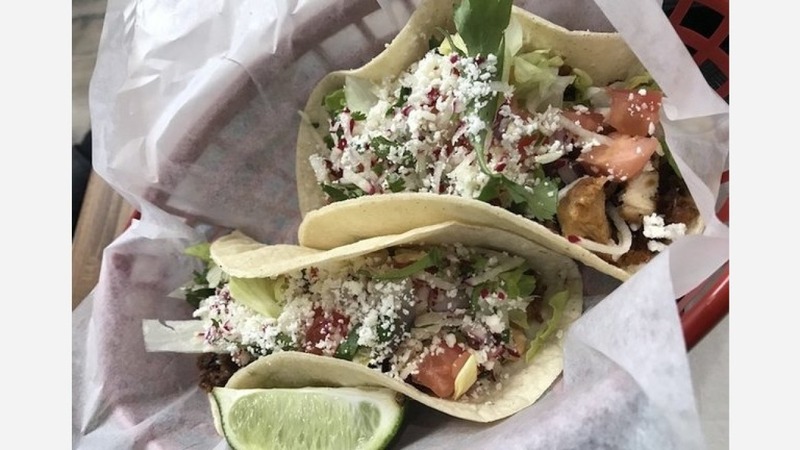 Yelper Rachel S. added, "I've been a huge fan of the Fishtown location and was so excited to see we have this new location with an expanded menu and indoor seating. ... The staff here was super friendly and we're glad to have them in the neighborhood." Head on over to check it out: Heffe is open daily from 7am-10pm.